Metro service will resume on the Red Line, between Van Ness and Medical Center upon Sunday's opening, after service had been suspended due to an insulator fire near the Friendship Heights station. WASHINGTON — Metro service will resume on the Red Line, between Van Ness and Medical Center upon Sunday’s opening, after service had been suspended due to an insulator fire near the Friendship Heights station. 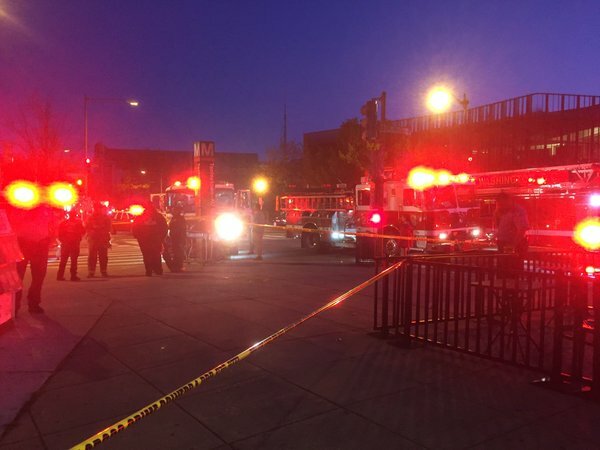 At least nine people were evacuated from a train at Tenleytown, according to Metro. There were no reports of injuries. The call came in at around 7:30 p.m. after a train operator reported the incident. D.C. Fire & EMS said the smoke came from an arcing insulator, which is caused by water that gets onto the cables. Crews were working to ventilate smoke between Tenleytown/AU and Friendship Heights stops, after reports of trouble inside a mechanical room. The cause of the electrical arcing has not yet been determined.